We are dedicated to the prevention, diagnosis, treatment, and rehabilitation of musculoskeletal problems and sports injuries. 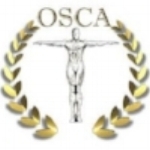 Osteopathy is used by and suitable for people of all ages. We provide osteopathy, rehabilitation, western medical acupuncture, and OsteoMassage treatments to help you maintain your optimal health. We can help alleviate sports injuries, joint issues, common aches and pains, and tension. Private Medical Insurance accepted: AXA PPP healthcare, Aviva, Cigna - WPA - Simply Health - Vitality Health, HSA.